On the face of it, Eric Murangwa, Yvonne Bernstein and John Hajdu have little or nothing in common. 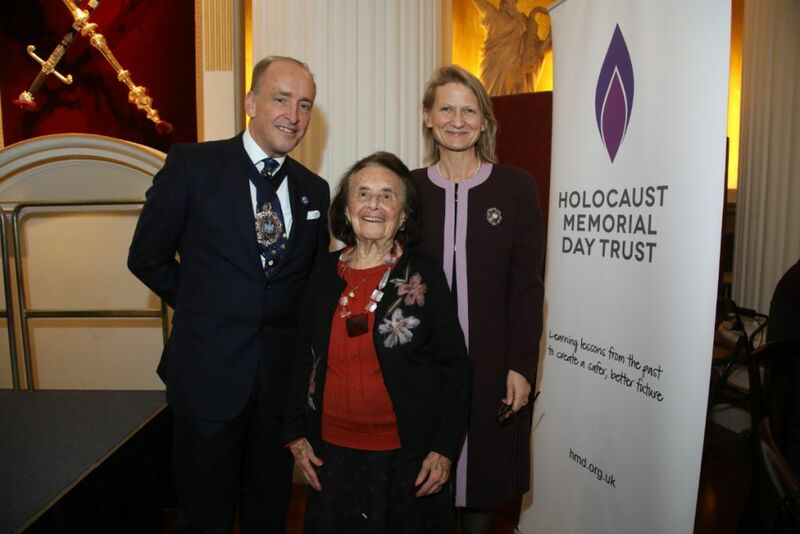 In fact the three share the experience of extreme persecution for being who they are — and on Thursday, in what the new honorary vice-president of the Holocaust Memorial Day Trust, Sir Eric Pickles, called “a spit in the eye of Hitler and his henchmen”, they joined 150 survivors of the Holocaust and subsequent genocides to celebrate their arrival in Britain and contribution to the country. 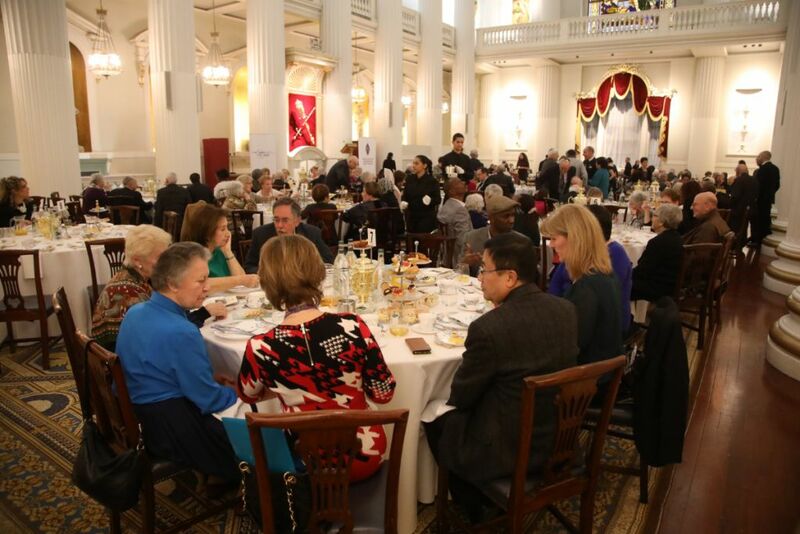 At an afternoon tea organised by the HMDT at the Mansion House, the magnificent ceremonial home of the Lord Mayors of London, the current Lord Mayor, Charles Bowman, welcomed the survivors. They were mainly Jewish, but were joined by survivors of genocides in Cambodia, Rwanda, Srebenica and Darfur. Each survivor has a painful story to tell but each, as the chief executive of HMDT, Olivia Marks-Woldman, made clear, is inspirational in their determination to tell their stories to the next generation. Hayley Carlyle is one such representative of the younger generation, as the Lead Youth Champion for HMDT’s Youth Champion Programme. She joined the programme while a history student and now spends time helping to raise awareness of Holocaust Memorial Day and its message. 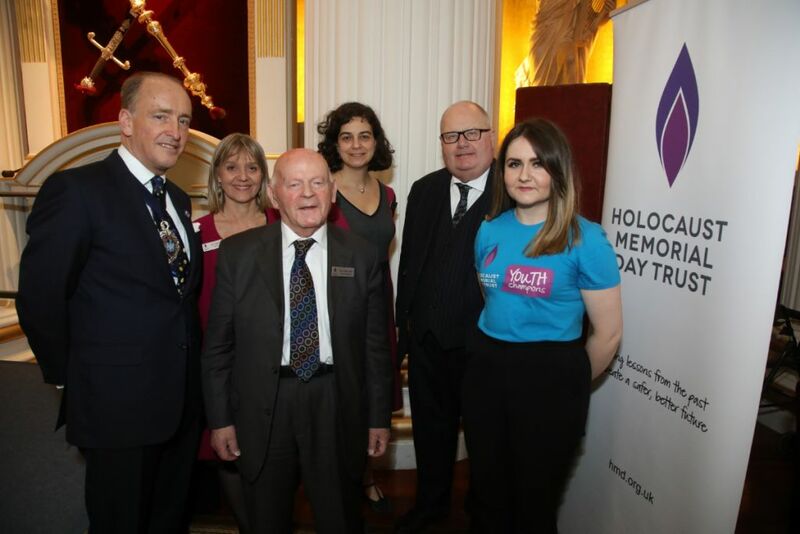 Present at the event were survivors from a range of experiences, those who had suffered in concentration camps, hidden children, slave labourers, or those who had come to Britain on the Kindertransport just before the outbreak of the Second World War. And while many had been acknowledged for re-telling their stories, some there had less familiar tales to tell. 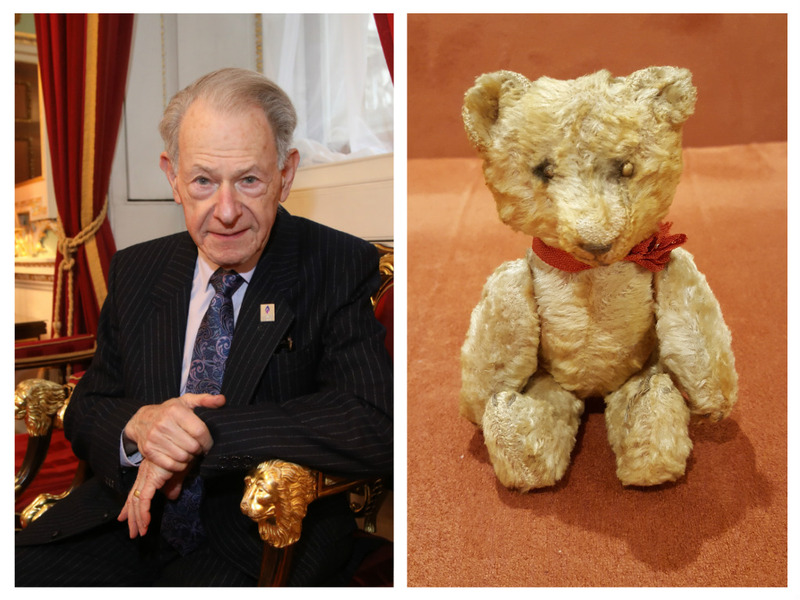 Hungarian-born John Hajdu, born in 1937, admits he often looks up at a battered teddy bear in his home and tells it: “Well, we made it!” The bear was the only possession which came with him to Britain in February 1957, when, after surviving the Holocaust he made a second escape, this time from the Soviet regime which took over Hungary after the war. John’s family was well-to-do and middle class, traditionally Jewish rather than observant. His father and grandfather were both in the insurance business. When war broke out the Hungarian Arrow Cross, working with the Nazis, herded Jews into “yellow-star houses” in Budapest, and eventually rounded them up for deportation in 1944. John’s quick-thinking aunt hid him in a cupboard in the home of a non-Jewish couple, but his mother was taken to Mauthausen camp. Eventually John and his aunt were sent to the Budapest ghetto, and were liberated by the Russian forces just one hour before the Nazis were due to destroy it. Yvonne Bernstein began life in Germany in 1937 as Ursula Mayer, the daughter and grand-daughter of jewellery and silverware manufacturers. 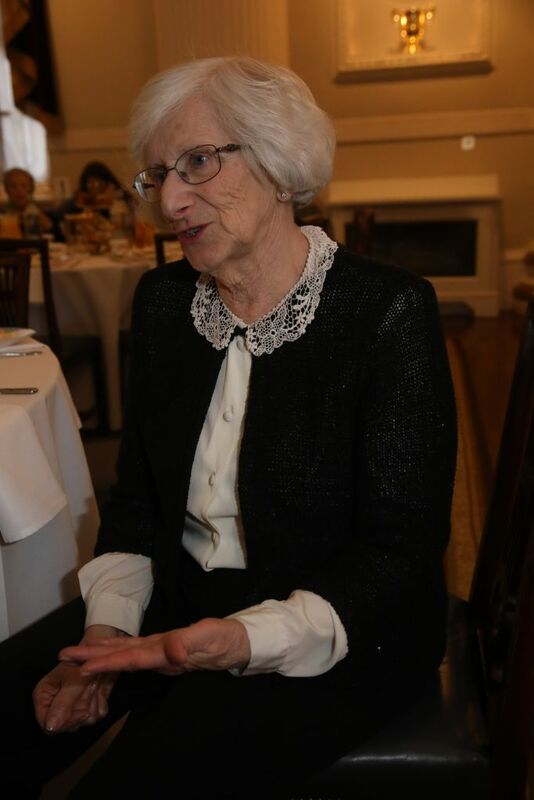 Her grandfather was the president of the grand Mainz Reform Synagogue. “At Kristallnacht, [in November 1938], my father was on business in Amsterdam and was told by his agent there not to return to Germany. He had to go into hiding until March 1939 because he was only 24, and at that point any men under 25 in Holland were being rounded up and returned to Germany”. Through a cousin her father got a visa to go to Britain and work in the jewellery quarter in Birmingham. Her mother, meanwhile, obtained a domestic visa to work for a vicar in Nottingham — but she could not bring her little girl with her. So began a long series of moves for Ursula — who, in the care of her aunt and uncle, changed names and homes in France and Alsace-Lorraine many times, until the family were denounced to the Nazis. At one point she and her cousin Nicole were sheltered in a convent, but the Mother Superior obliged them to leave after two months. Yvonne’s father, by that time with the British army after briefly being interred in Huyton, near Liverpool, set out to find his daughter in September 1944. The eight-year-old arrived in Britain on a minesweeper in June 1945. She eventually took a PhD in chemistry, became a translator of scientific documents from French and German, taught maths for 20 years, and, with her doctor husband, took early retirement. Eric Eugene Murangwa was a star player for Rayon Sports Football Club in Rwanda in the early 90s, and also played for the national team. But Eric, now 42, was caught up in the vicious genocide that flared in Rwanda between the two main ethnic tribes, the Hutus and the Tutsis — and as a Tutsi, his life was constantly in danger. 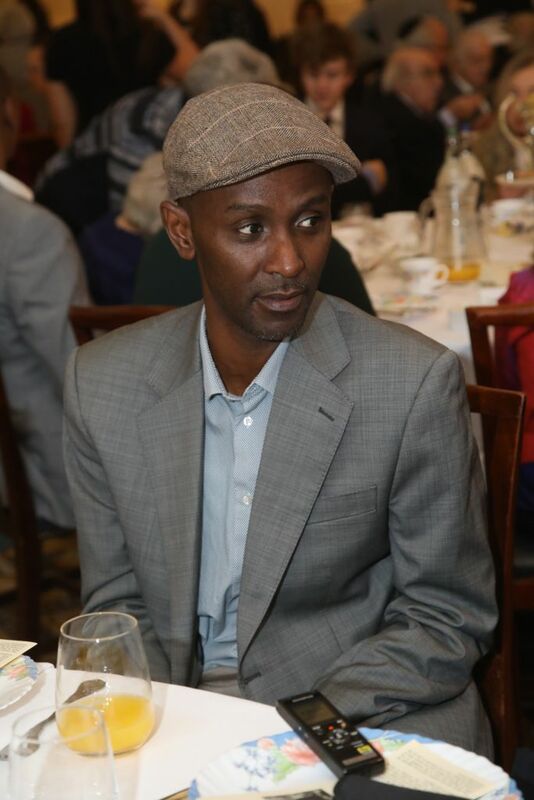 For a Tutsi, Eric says, life was one long round of discrimination. But Rayon Sports FC was a mixed team and was largely free of anti-Tutsi prejudice. Nevertheless between 1991 and 1994, Eric, a goalkeeper, stopped travelling with his team to play up north as some of the opposing clubs were among the most threatening. In April 1994, when the killing of Tutsis was at its height, a group of Rwandan militia broke into the house where Eric was living and almost killed him and his team-mates —until a photo album fell open, showing pictures of Eric playing. One of the soldiers recognised him and sat down for a chat about football. Shortly afterwards, Eric, the eldest of six, returned to his parents’ home. The family heard shooting outside in the street and Eric’s parents said that everyone should say inside. But the family were Seventh Day Adventists, whose tradition, says Eric, is to sing alongside prayer. Eric could not accept the idea of singing, even quietly, while the family was trying to avoid discovery by the militias, and instead left to go and take his chances with his team-mates. Life became more and more difficult for Tutsis and even after the killings had apparently stopped, it became clear that former insurgents were returning to Rwanda, determined still to attack Tutsis — particularly well-known faces like Eric. So in 1997 while the Rwandan national team were playing in Tunisia, Eric defected. He spent six months in Belgium but then came to Britain, speaking little or no English. He was never able to return to professional football but instead founded the charity Football for Hope Peace and Unity, and was made MBE in this year’s New Year’s honours list. “My story has become my life”, he says. “I have tried to reinvent myself”, adding that telling his story about genocide in schools had helped to raise awareness. 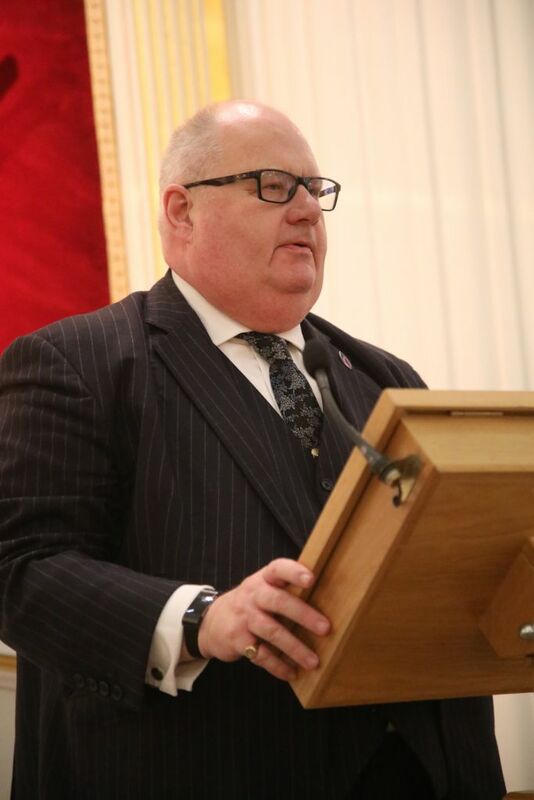 Commenting on the announcement that Sir Eric Pickles has become Holocaust Memorial Day Trust’s honorary vice-president, Laura Marks OBE, HMDT’s chair of trustees said: “There are few people who have done more to ensure that the lessons from both the Holocaust and other genocides are taught and learned than Sir Eric Pickles. He has campaigned tirelessly to ensure that we never forget just where intolerance and hatred can lead and we are thrilled and honoured that he has agreed to take this post”. 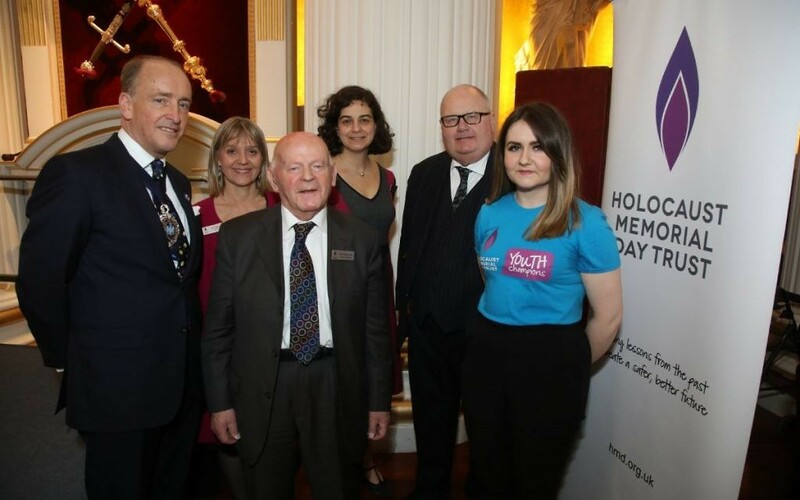 Sir Eric said: “I am honoured to accept the position, particularly to serve alongside the honorary president Ben Helfgott, MBE — a man I greatly admire, a man who has not only dedicated his life to ensuring that we not only remember the Holocaust in the UK but across the world.